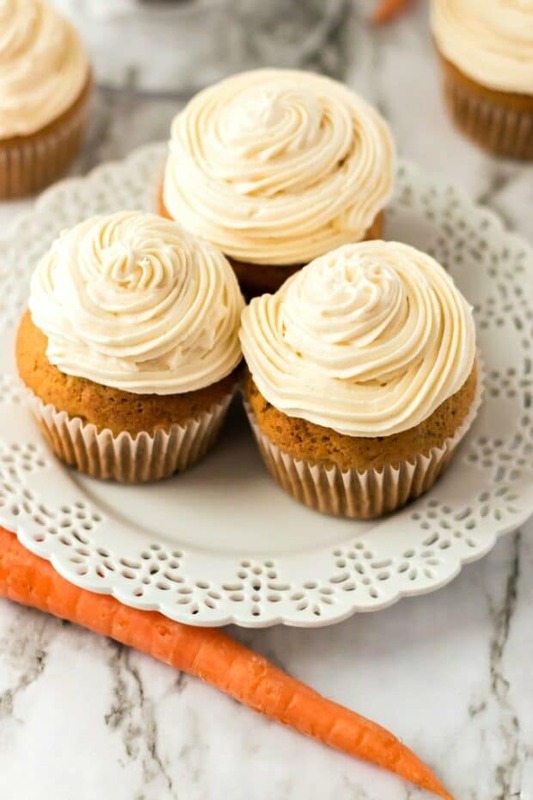 Sweet, savory, and easy to make, these carrot cake cupcakes with cream cheese frosting are the perfect dessert for any occasion! Top mine them off with caramel sauce topping and walnuts and you have perfect final touch and really rounds off the flavor in each bite. 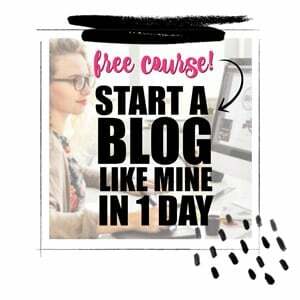 Make sure you check out our classic carrot cake recipe for the cake version! And if you love unique cupcakes, make sure you check out our pineapple upside down cupcakes as well as our cookie dough cupcakes. Everything is better in the form of a cupcake. Am I right? Not sure exactly why that is, but cupcakes are just the best! 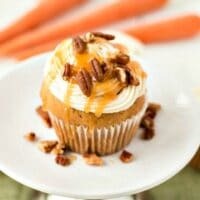 This recipe for delicious carrot cake cupcakes with creamy and rich cream cheese frosting could not be more in line with this philosophy. I don’t know about you, but this would be my preferred way of getting in a serving of veggies. I use a fine mesh grater to prepare the carrots so even someone who hates their veggies couldn’t find the carrots! These cupcakes are really easy to throw together and make for a great dessert for gatherings like baby showers, gender reveals or birthdays — or just a coffee party. They satisfy the sweet tooth without being overly sugary and heavy since cream cheese frosting balances out the spiced cake. 1 lb carrots (shredded) – usually turns out to be about 2-3 large carrots. I use a fine mesh grater to make sure that the carrots don’t stand out when the cupcakes are baked! To start out, preheat the oven to 350 degrees F. Let it heat up while you put everything together! Next, prepare your cupcake dish by either oiling and flouring it, or lining with paper liners. Then, set this aside for later. In a large bowl, blend the oil and sugars until you reach a light and fluffy consistency, it usually takes about 2 minutes of mixing. In a separate small bowl, stir together the dry ingredients: flour, baking soda, baking powder, cinnamon, and nutmeg. 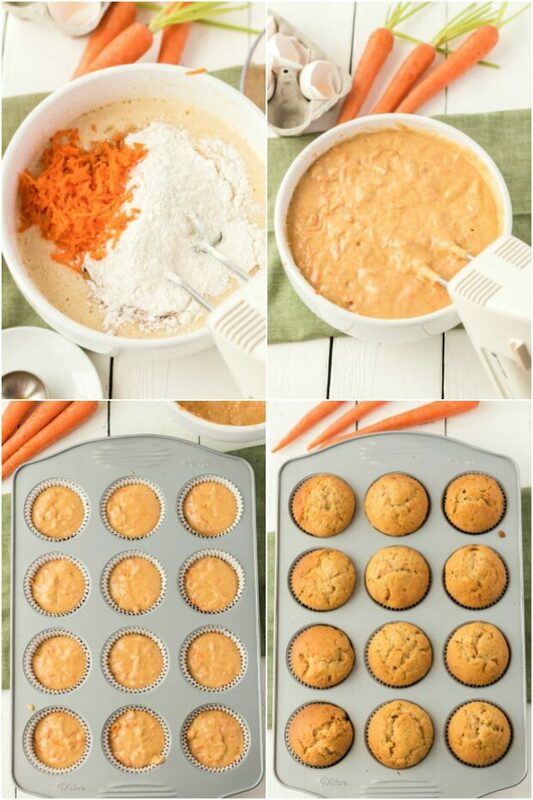 After you’ve mixed these together, add the dry mixture slowly to the oil-sugar mixture, and alternating the dry mixture with handfuls of the carrots. Then, scrape the batter out of the bowl into the prepared cupcake pan. I have found that these only need to bake for about 18 minutes. About half the time that it would need to bake in cake form. I always perform a toothpick test to make sure there isn’t any uncooked batter, before I take them out of the oven. and bake at 350 degrees F for 18 minutes. Make sure the cupcakes are done by performing a toothpick test. Insert a wooden toothpick into the center to check for uncooked batter. Once you take them out of the oven, cool your cupcakes on a baking rack for a few minutes before removing them from the pan, to let them set for a moment. Meanwhile, you can begin to prepare your cream cheese frosting. Simply blend together all of the frosting ingredients listed above until you reach your desired consistency. After the cupcakes have completely cooled, you can frost them. I am obsessed with this cream cheese frosting recipe. 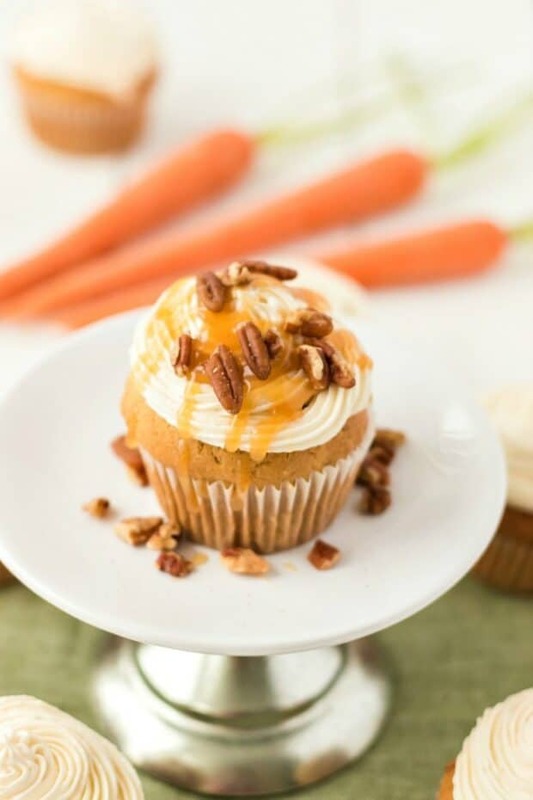 It’s the absolute perfect way to finish off your carrot cake cupcakes. I like to use a pastry bag to frost these guys. I think it really gives it a nice polished look. 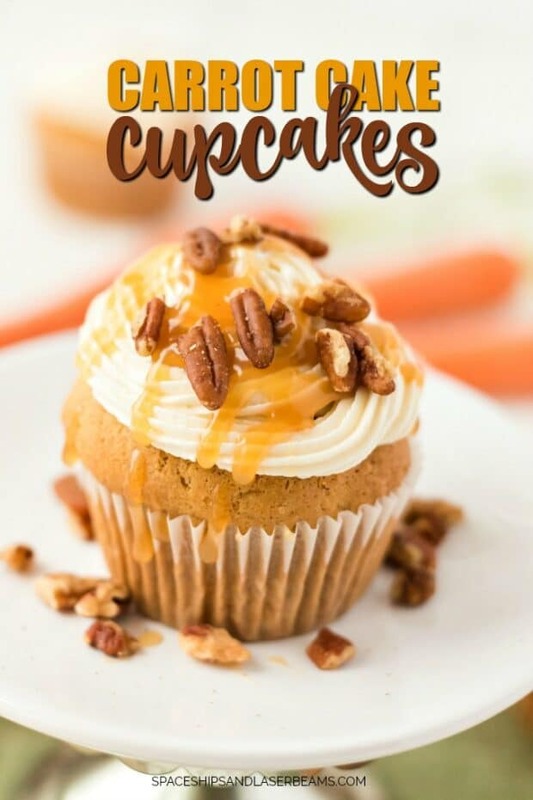 I love to garnish my cupcakes with crunchy walnuts and caramel sauce, it’s the perfect finishing touch.! To do this, I put the walnuts on first and then drizzle the caramel over the top of each. The addition of caramel sauce and walnuts is totally up to you! Personally, I think it gives it a nice final touch with the crunch of the walnuts and the sweet caramel drizzle. The beauty of decorating cupcakes is that you can switch it up! No need to garnish them all. Leave some plain and decorate your heart out on others, it’s up to you. Carrot cake is such a classic and delicious dessert. Whenever I have it, I am reminded of just how much I love it. Making it in cupcake form is brilliant, because everything is better as a cupcake! Add your cream cheese frosting and garnish and you’ve got yourself an amazing dessert for everyone to enjoy. Banana Pudding <- Reader Favorite! Moist and delicious, these easy homemade cupcakes will be a hit! 1 lb carrots shredded - usually turns out to be about 2-3 large carrots. I use a fine mesh grater to make sure that the carrots don’t stand out when the cupcakes are baked! Prepare cupcake pan by either oiling and flouring it, or lining with cupcake wrappers. In a large bowl, blend the oil and sugars until you reach a light and fluffy consistency, about two minutes. In a small bowl, stir together the dry ingredients: flour, baking soda, baking powder, cinnamon, and nutmeg. After you’ve mixed these together, add the dry mixture slowly to the oil-sugar mixture, and alternating the dry mixture with handfuls of the carrots. Then, scrape the batter out of the bowl into the prepared cupcake pan. Pop into the oven to bake for about 18 minutes, or until a toothpick inserted in the center comes out clean. Cool your cupcakes. In a small bowl, blend together cream cheese, butter, powdered sugar, and vanilla. Once cupcakes are completely cooled, frost and serve. YUM – these are so good and pretty, too!